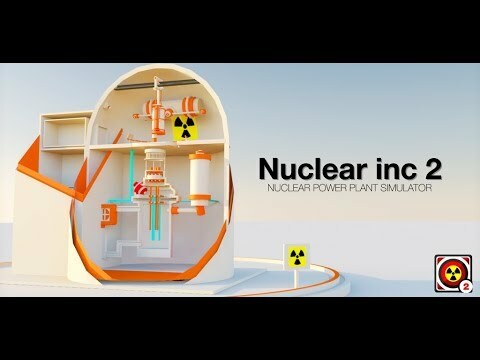 Nuclear inc 2 will teach you the basics of managing a nuclear reactor (and a nuclear power plant in general)! Step by step, step by step, Chernobyl to Fukushima. You become a true engineer capable of mastering any critical situation - the emission of radiation, fire, earthquakes. Take the Geiger counter and go! The system of the nuclear power plant is very interesting and happy - you need to monitor the temperature of the nuclear reactor, the turbogenerator, the pressure, the radiation level. The game contains detailed training! You will understand how the nuclear reaction works and how the energy of nuclear fuel is converted into electricity. The game contains (still) 12 levels. In the first steps, you learn to control the nuclear power plant. Fire extinguishing systems, cooling the reactor and other things! Such a variety of systems will help you avoid a nuclear (thermal) explosion! The latest levels - Fukushima and Chernobyl - will help you to understand the causes of these nuclear accidents (but in a very simplified form). One of the critical faults in the Fukushima nuclear power plant was, for example, the arrangement of emergency generators in areas below sea level. The tsunami flooded the generators and the nuclear power plant was left without electricity.